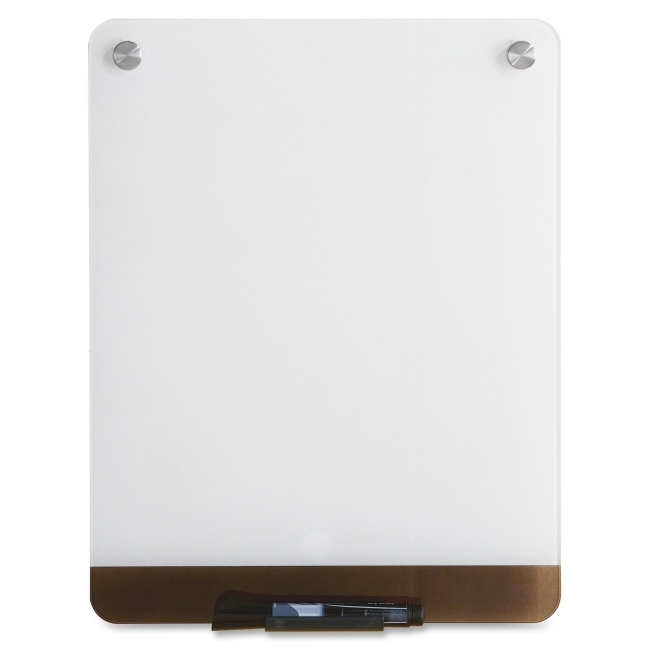 Glass dry-erase board offers the ultimate, high-performance writing surface. Frameless, tempered glass features an ultra-white coating on the back for high contrast to any wall color. Glass never stains because nothing penetrates the surface like other dry-erase boards. Seamless, floating design with steel standoff posts offers easy, secure mounting and a unique look. Size is perfect for your personal space. Clarity Dry-Erase board also includes a clip-on tray for your marker and eraser.